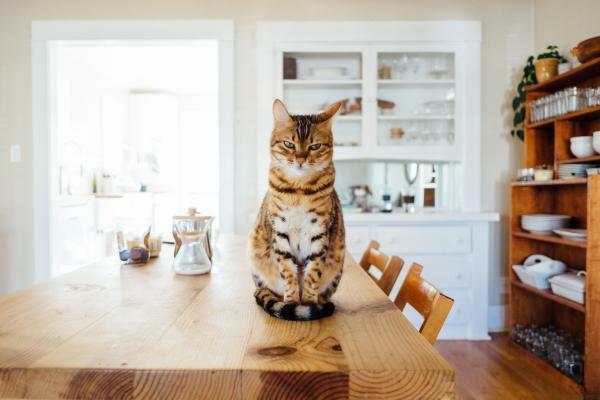 Do you own a cat newly or you face a lot of problems when it comes to feeding them? The best option for you is an automatic cat feeder. An auto cat feeder is a device that provides food to your cat at regular intervals of time which are pre-set. Digital timer to set the feeding times. Wi-Fi functions to operate the feeder using apps. Voice recording to remind the cat whenever the food is provided. Can control the amount of food. Can serve wet cat foods without food spoilage. One of the important advantages of a best auto cat feeder is the capacity to regulate your cat's food intake in the entire day. When you put dry food out for your cat, there is a possibility that you're just filling the bowl to the top. You do not any notion about the measurement of food the bowl capacity, and if you observe that the bowl is vacant, you try to fill it up with more food. The issue with this process is that you don't have control over how much your cat eats on a regular basis. An automatic cat feeder can solve this problem. The feeder allows you to select pre-set times to provide food for your cat. Similarly, you can also adjust the measurement of food that is given. An automatic cat feeder is an efficient product for those who spend a major amount of time away from home. If you have a job that needs you to invest much time outside the home, you can ensure that your cat is properly fed while you are away. Similarly, if you and your family wish to take a week-long vacation, you have no need to bother that your cat isn't eating enough while you're away. Convenience is another great advantage of the automatic cat feeder. The unit is also dishwasher safe so you don't need to take tension about cleaning it every day. If you are a busy person searching to cut corners, the automatic cat feeder can surely help you. You will only have to refill the unit when the foods are finished. When it requires to be cleaned, simply threw it in the dishwasher and your tension is over. It is appalling to have cat food scattered all over the house, especially if you carry your cat to public places. Best Automatic cat feeders are made to dispense off just the needed amounts of food, that which the cat can eat without much of a problem. Rather than a cat having huge amounts of food at long duration, they can get an inadequate amount. The output of this is that you avoid having the worst scenario whereby the cat starts to play with the food. If you are searching to maintain a good relationship with your cat without spoiling your environs, automatic cat feeders ought to be in your choice.